11 weeks of 60 minute instructed kids climbing club. Clubs run almost every day of the week and at weekends too! Regular clubs ideally suited to children aged 8-14+ years. Ideal for youngsters wanting to try something new. Work towards Award Levels and gain certificates. All equipment is provided and no experience is necessary! 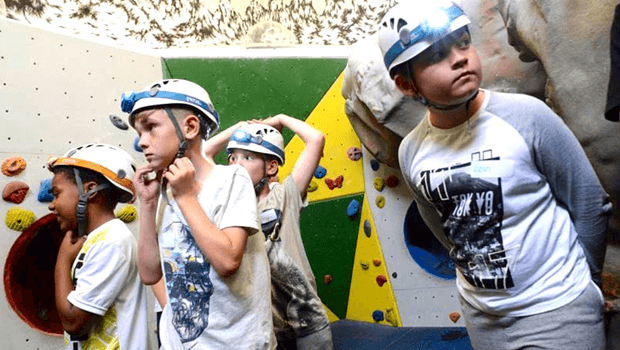 Get your children learning all about climbing in a fun, safe and comfortable environment! Please be aware of our Bookings Ts & Cs before making your booking.